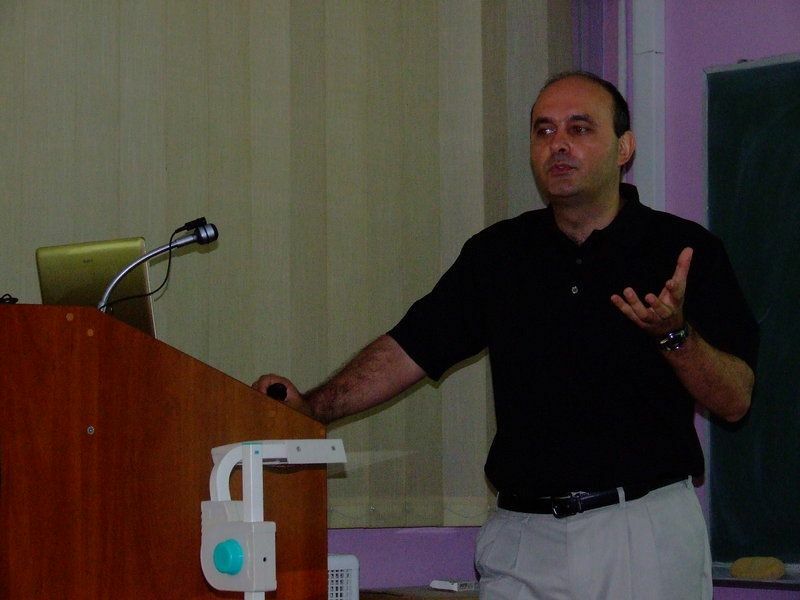 Professor Dejan Stojkovic from SUNY, Buffalo, US gave IPB colloquium on "Mini black holes in LHC". 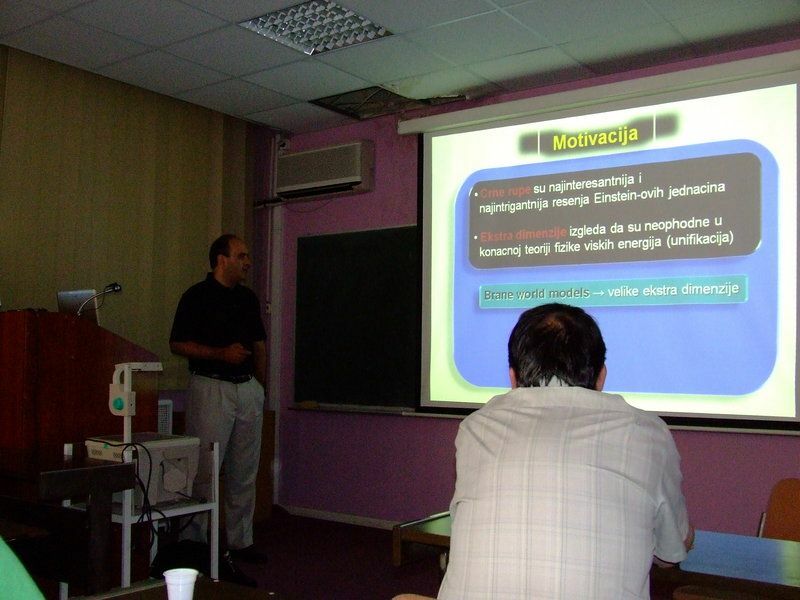 The central topic of the talk were possibility of forming micro black holes at an energy as low as the TeV range, which will be available in particle accelerators such as the LHC (Large Hadron Collider) or in experiments with cosmic rays (AUGER) and the black-hole event generator, BlackMax, which simulates the experimental signature of microscopic and Planckian black-hole production and evolution. 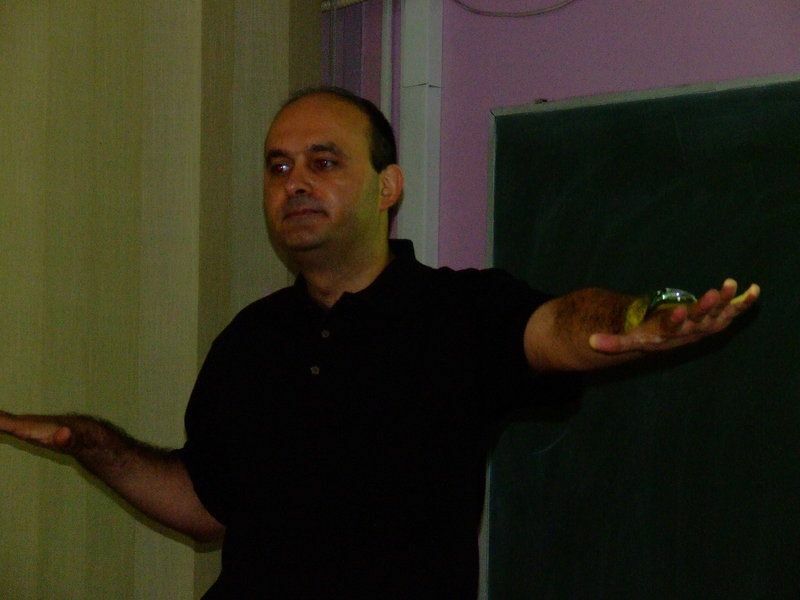 The generator is based on phenomenologically realistic models free of serious problems that plague low-scale gravity, thus offering more realistic predictions for hadron-hadron colliders. The generator includes all of the black-hole gray-body factors known to date and incorporates the effects of black-hole rotation, splitting between the fermions, nonzero brane tension, and black-hole recoil due to Hawking radiation (although not all simultaneously). The generator can be interfaced with Herwig and Pythia. 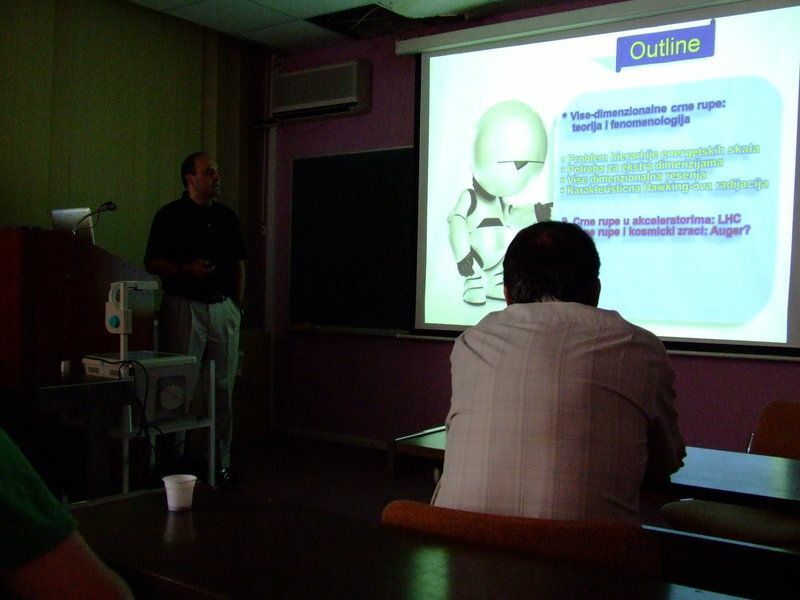 The colloquium was attended by the full IPB faculty and large number of graduate students working at IPB.